Iran's Supreme Leader Ayatollah Ali Khamenei has declared that the disputed election result will stand, despite violent street protests in recent days. 'I had insisted and will insist on implementing the law on the election issue,' Ayatollah Khamenei said. Now that police and religious militia appear to have regained control of the streets after the biggest anti-government protests since the 1979 Islamic revolution, Iran's hardline leadership is blaming the discontent on foreign powers. The deployment of riot police and Basij militia largely ended the mass protests which saw ten protesters killed on Saturday, and at least seven more in violence early last week. Iran has refused to overturn the results of the election that returned Mahmoud Ahmadinejad to power. The furore over the election has exposed deep rifts within Iran's political elite. Ayatollah Khamenei has solidly backed Mr Ahmadinejad against defeated candidate Mir-Hossein Mousavi, who has the support of former presidents Akbar Hashemi Rafsanjani and Mohammad Khatami. Iran has accused protestors of being backed by the West, the US and Britain in particular, and has paraded arrested young demonstrators on state television confessing to being incited by foreign news broadcasts. 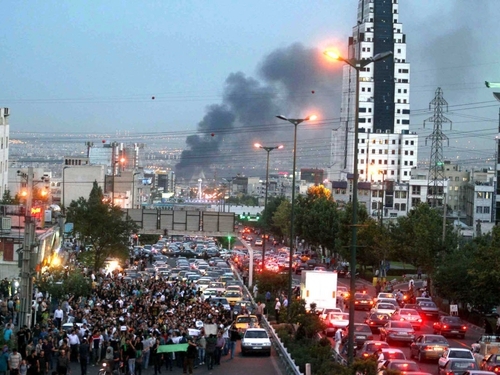 ‘Rioters confess: Western media duped us,’ the conservative Kayhan International newspaper said in a front-page headline. 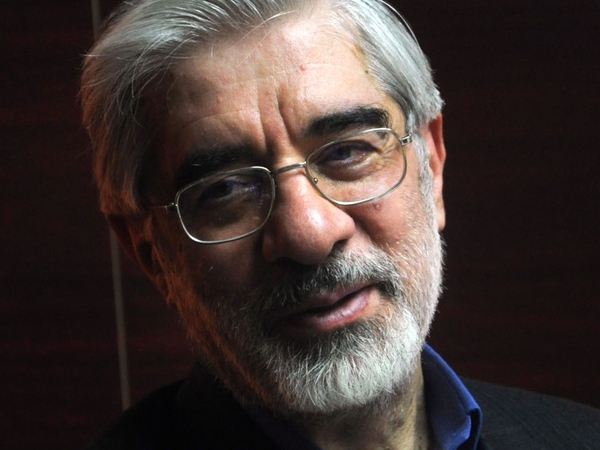 Other hard-line newspapers carried articles today blaming Mr Mousavi for the violence. Calls by reformist clerics for mourning for dead protestors is also presenting a new challenge for the authorities. Grand Ayatollah Hossein Ali Montazeri, a dissident who is one of Iran's most senior clerics, has called for three days of national mourning for those killed. 'Resisting the people's demand is religiously prohibited,' Mr Montazeri said in a statement on his website. Grand Ayatollah Montazeri was once named successor to Ayatollah Ruhollah Khomeini, but fell out with the founder of the Islamic Republic shortly before his death in 1989. He has been under house arrest in the holy city of Qom for around a decade. Reformist cleric Mehdi Karoubi, who came last in the election, also signalled opposition would continue, calling on Iranians to hold ceremonies on Thursday to mourn the dead.